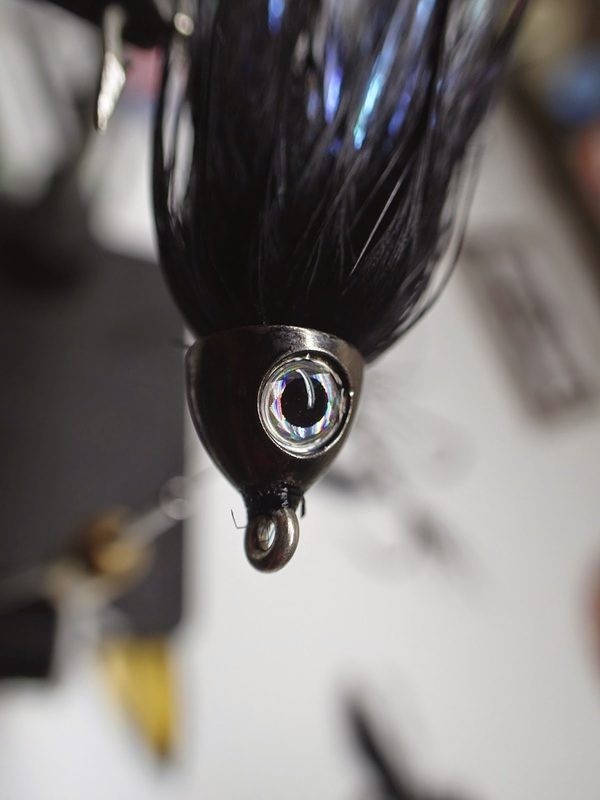 During a winter storm in 2009, I concocted a fly for one of my first sessions ever swinging for steelhead. At the time, I was learning on a switch rod with a 510 Airflo Skagit Compact and I was tying and throwing some seriously heavy stuff. Needless to say, it was not pretty. On a late November outing, Adam and I did really well for ourselves. My fly was able to pick up my first ever fish on a legit two hander setup. 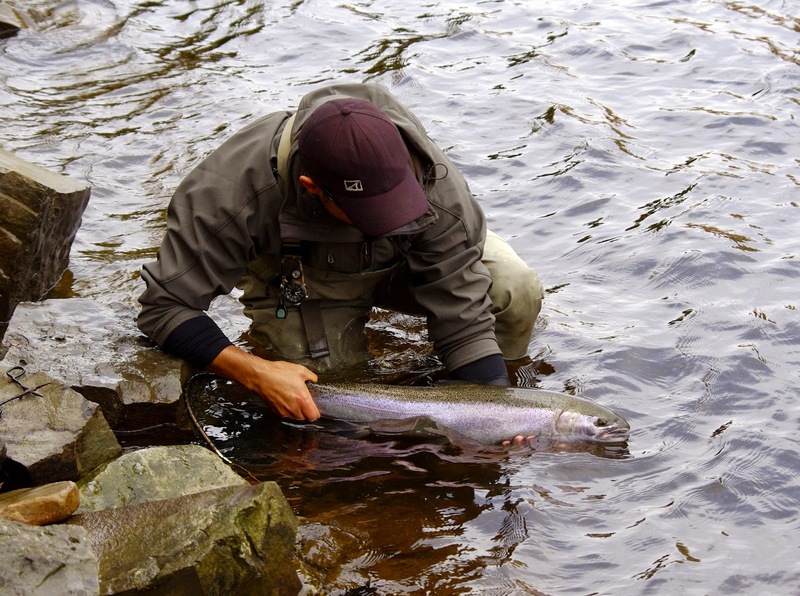 The brown pictured below crushed it in a very fast section of water and I was hooked. 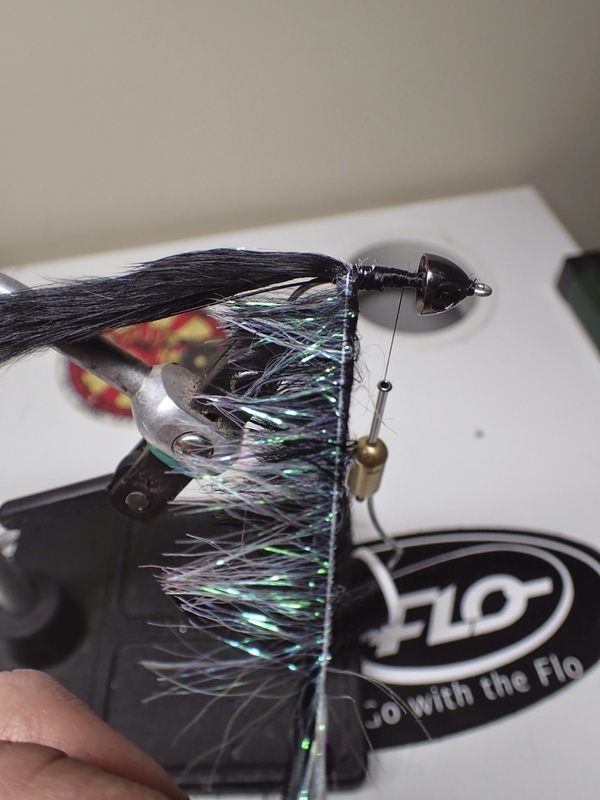 The fly became my "go to" pattern for the next few years as I learned the ways of the skagit. 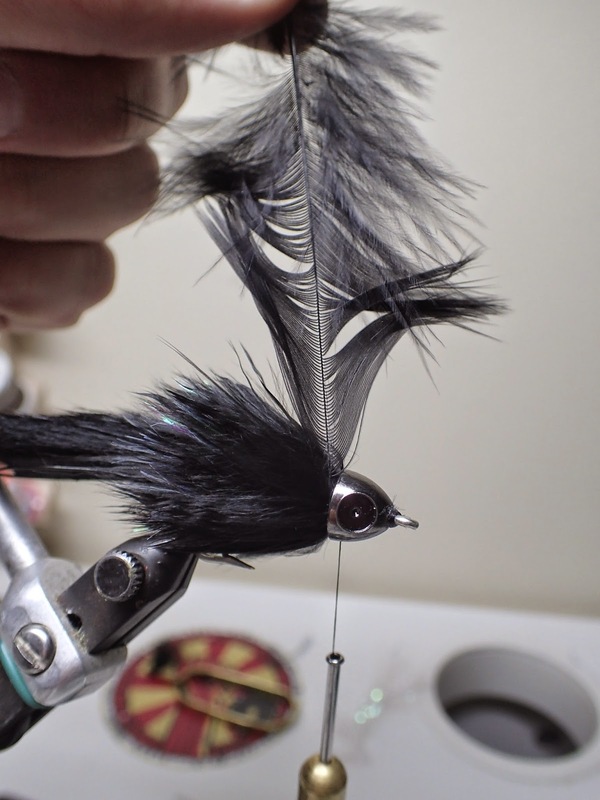 I started calling it the "stinger missile," and it has still accounted for more steelhead from the Salmon River than almost all my other flies. Any dubbing works here, I chose ice dub because it is easily picked out to ensure a perfect fit. Slide the cone forward. It should be a snug fit. Tie in magnum bunny strip. 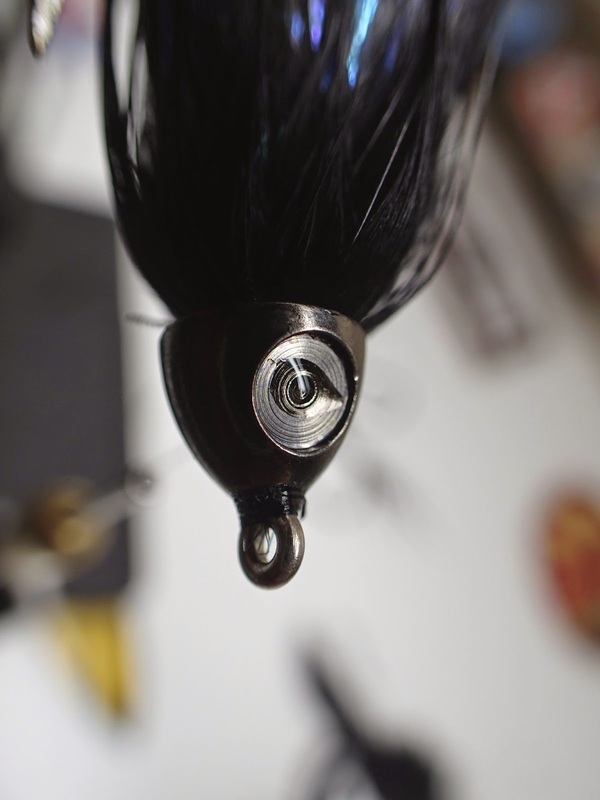 You can vary the length of the tail and the shank to increase or decrease the size of the fly. 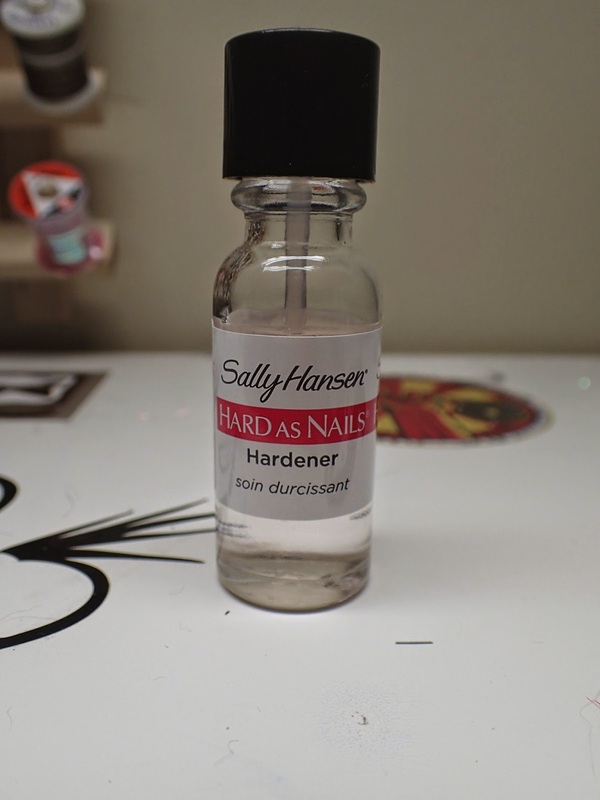 This is a rather small and short version. 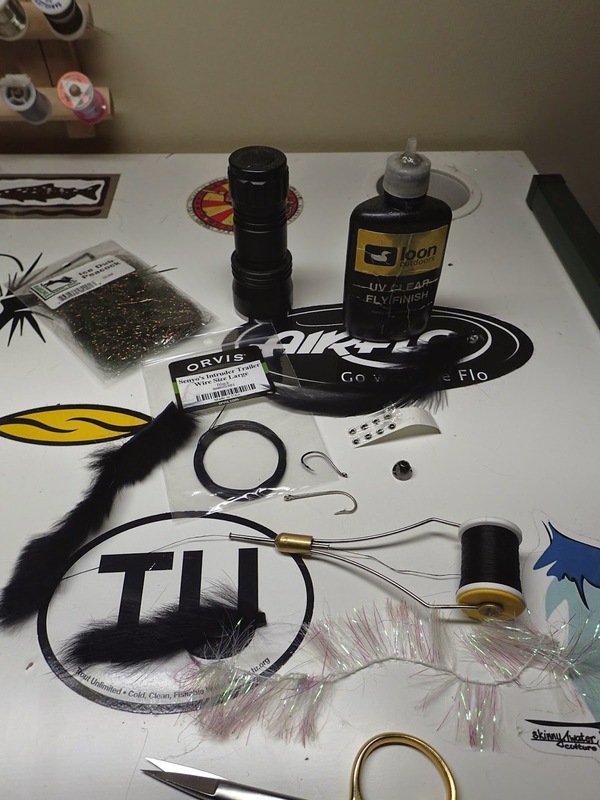 The fly needs to be fished with a heavier skagit setup because of the weight of the cone head and how waterlogged the rabbit gets. The larger the fly is, the slower it will sink because of the rabbit strip. 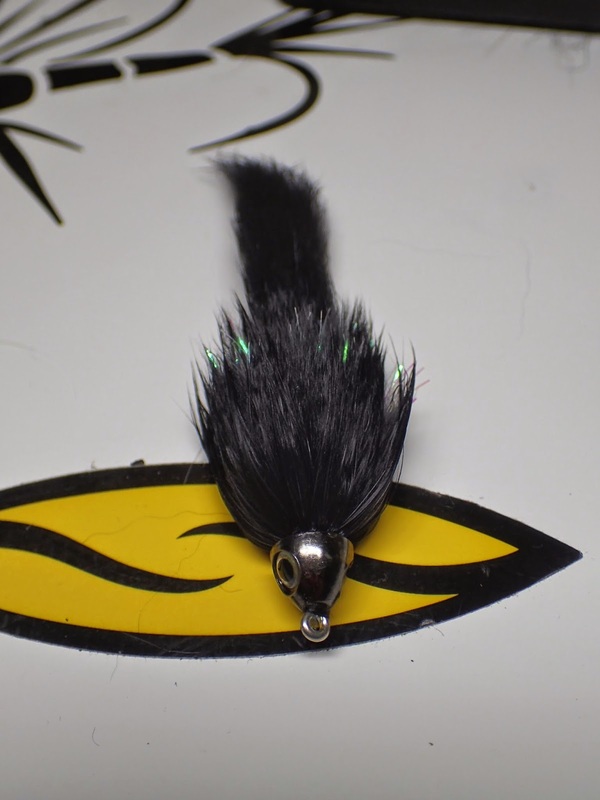 You can also decrease the speed with which the fly sinks by using a magnum bunny strip for the tail or bunny bou for the body. This will increase buoyancy. 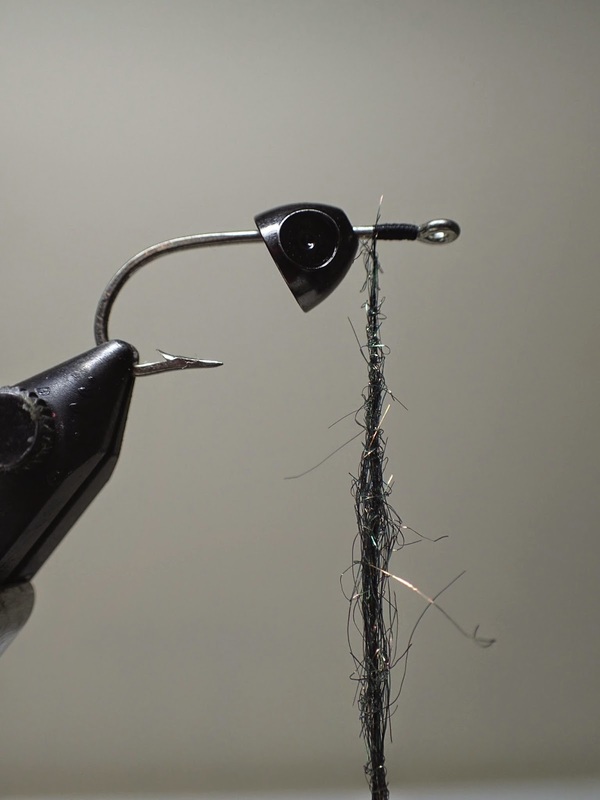 Using a regular rabbit strip and crosscut, the fly will sink like a rock. Therefore, it needs to be fished in deeper pools and fast pocket water. I prefer to fish it broadside with some speed. The profile entices some vicious strikes to aggressive fish. Very nice tutorial! A great looking fly, as well. I dig that one ... I'll be stealing it.